As a family run park, we limit the number of touring caravans we take, for your comfort and so you have plenty of personal space. We have both cliff and tarmac roads to the beach and the park is particularly quiet. 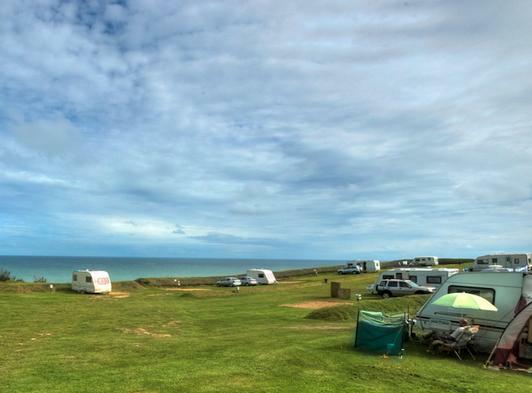 This is the area's only cliff top touring Caravan park - it is both flat and gently sloping and carefully landscaped for privacy and comfort. The location is ideal for the discerning visitor, looking for the quiet spot to enjoy this truly rural county of Norfolk. The village centre of Mundesley is a ten minute walk away. Well behaved dogs are welcome at Sandy Gulls - if they are kept on a lead... and the beach below us is dog friendly. The Caravan Park offers fully equipped holiday homes and fully equipped pitches also. Our caravan park is close to the local town providing pubs, restaurant and nine hole Golf course. For day trips Norwich is not far and the resort town of Cromer and the wild North Norfolk coast is even closer. You can easily reach the Norfolk Broads and enjoy a day on the water. The shopping and nightlife of Norwich are not to be missed with many national and independent shops, historic pubs and modern clubs and bars to choose from. The biggest pull of the caravan park though are the amazing sea views Over the North Norfolk Coast. 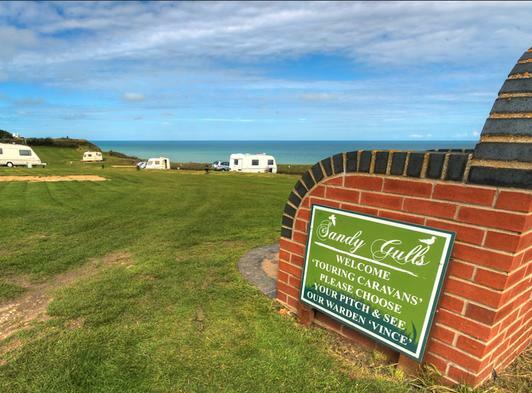 So if you are looking for a beautiful spot to bring your caravan then choose Sandy Gulls.We have been running the caravan park as a family for 27 years. Our caravans are fully self contained with one double and one twin bedded room with additional bedroom heating. All caravans have a fully fitted kitchen, with a modern cooker and microwave, shower room and toilet. The lounge and dining area are larger than normal, with good sprung seating arrangements, complete with TV and DVD. Always the latest models, our hire caravans are all less than two years old. The insulation properties are three times greater than the average caravan plus double glazing with central heating in every room means much more comfort.